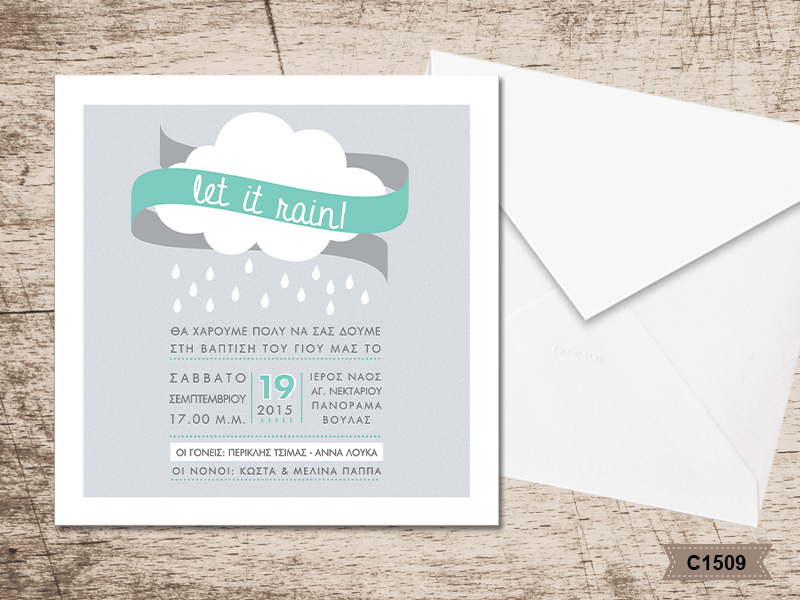 Beautiful Greek autumn Baptism invitation, with a nice rainforest message with railfall details in turqoize colour. The matching envelopes are square white paper and your personalized wording is printed in dark grey colour on a light grey background. https://www.preciousandpretty.com/2017/04/greek-christening-invitations-for-autumn-baptism-C1509.html Greek Wedding Favors|Orthodox Crowns|Stefana|Baptism Invitations Greek Christening invitations for autumn baptism C1509 Greek Christening invitations for autumn baptism for boys or girls Product #: Greek Wedding Favors|Orthodox Crowns|Stefana|Baptism Invitations_3223951086882711543 5 stars out of 5 reviews.